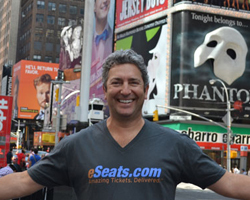 eSeats Blog – » Blog Archive How to Choose the Right Ticket Broker? 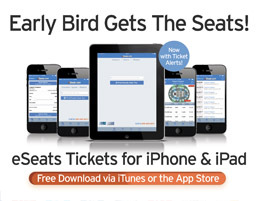 How to Choose the Right Ticket Broker? Have you ever been on Google, looking for tickets for your favorite band, and you are presented with pages of companies selling tickets? You are not alone. There are hundreds, maybe thousands of sites selling tickets to every event. So where do you start? Call the customer service number and talk to a customer service rep. A lot of companies out there are automated, and therefore will not have anyone answering the phone during business hours. At eSeats, we have customer service reps in the office from 8-4 pm PST Monday through Friday. After hours, and weekends we have an answering service to take a message, and we are always available for emergencies. Is the company a member of the NATB, the National Association of Ticket Brokers? This is an organization that registers it’s members, so you know you are dealing with a legitimate company. The mission of the NATB is to promote the highest of standards of conduct of ticket brokers, facilitate consumer protection in the secondary market, and educate the public concerning ticket brokers, and their services. Does the company have a BBB rating? eSeats.com has an A+ rating with the Better Business Bureau. Read the testimonial page, if available, on the company’s website. This will give you a good idea of how reliable, and knowledgeable the company is. eSeats.com testimonial page has feedback from clients for both local and international events, which shows that we have experience in taking care of our clients around the world. We understand that it can be a little daunting, and confusing in knowing what ticket company to trust. Call our office today, 480-361-2708, and chat with us. We are here to answer any and all of your questions to make your ticket buying process easy and worry-free.